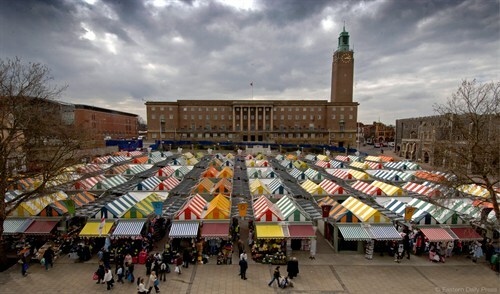 The 6-day, Norwich Market had a long and colourful history in the City, but needed modernisation not least for H&S reasons relating to the sloping ground. 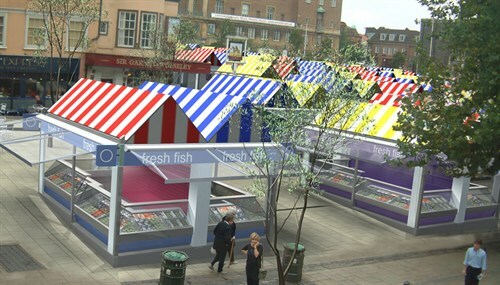 After consulting with traders, public and the local authority owner/managers, LSI designed a prefabricated, modular stall with colourful striped roofs, and rain-sensitive aisle canopies. A market on this site in Norwich is recorded in the Doomsday book and the archaeological heritage of the site was a key constraint in the site’s redevelopment. Detailed 3D computer modelling was used to locate pad foundations to each stall and archaeological remains of the Market Cross (discovered during construction) were carefully avoided. To minimise new excavation, existing in-ground service routes were re-commissioned to provide additional power, data, comms, water, gas and drainage to the stalls. The stalls have been designed to match the footprint of the earlier timber frame stalls, and the 2m wide aisles remain. Access to each cluster of four stalls is tailored to suit a variety of needs and every trader was consulted on an individual basis on their preferred arrangement for each stall prior to construction. Externally, the striped roof identity is maintained, albeit in robust polyester powder coated steel sheeting. Remotely operated metal roller shutters and solid core sliding timber doors provide secure stalls. A lighting scheme has been designed to ensure the market place remains safe and vibrant in the evening, outside of trading hours. 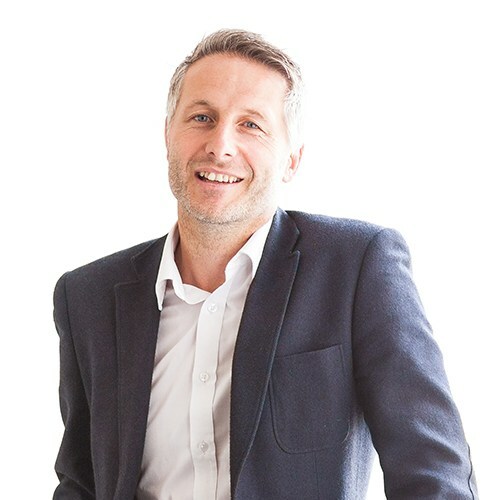 Norwich Market received a Civic Trust Commendation and was subsequently voted Britain’s best large outdoor market at National Association of British Markets’ Great British Market Awards in 2019.